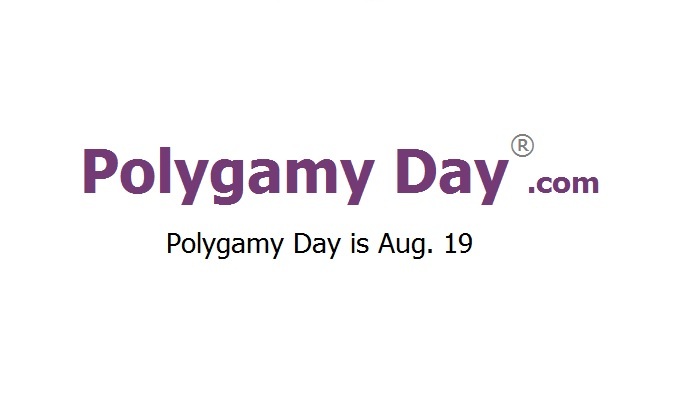 Polygamy Day ® is August 19. The term, "Polygamy Day ®", is the exclusive, registered trademark of Polygamy Day, Inc.
Polygamy Day, Inc. is a non-profit corporation with the express purpose of promoting public education, awareness, and political action for the cause of de-criminalizing of, and obtaining freedom for, freely consenting, adult, non-abusive marriage-committed polygamy. Please see the corporation's Purpose for more express details. For anyone in need of some FAQ type of answers, this web-site also provides the Questions? page. Feel free to help us in our Cause with any donations. Thank you!